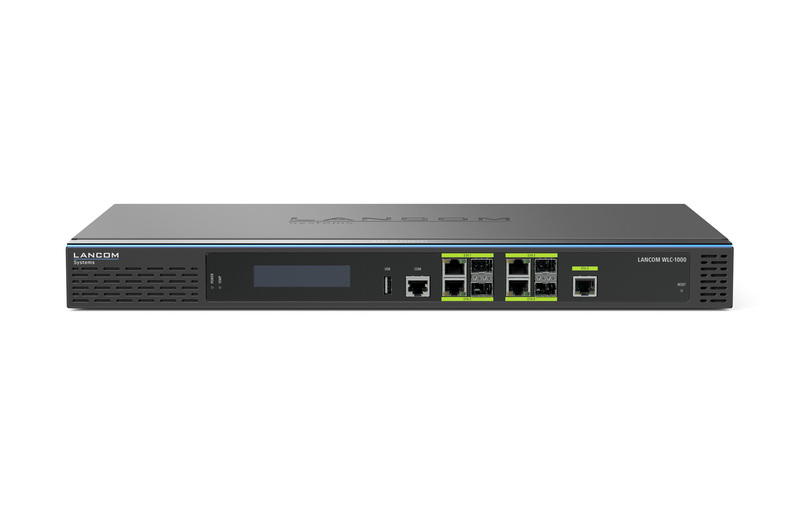 As the central WLAN controller, the LANCOM WLC-1000 provides full control over mid-sized installations with 25 to 1,000 access points and WLAN routers, while keeping administrator workloads to a minimum. Zero-touch deployment automatically installs new access points and provisions them with custom configurations. Smart features, such as roaming optimization and the selection of bandwidth and Wi-Fi channels, ensure the best possible performance across even complex wireless networks. The LANCOM WLC-1000 saves time for the administrator and offers an outstanding Wi-Fi user experience. From the very start, LANCOM products are designed for a product life of several years. They are equipped with hardware dimensioned for the future. Even reaching back to older product generations, updates to the LANCOM Operating System family are available several times a year, free of charge and offering major features.